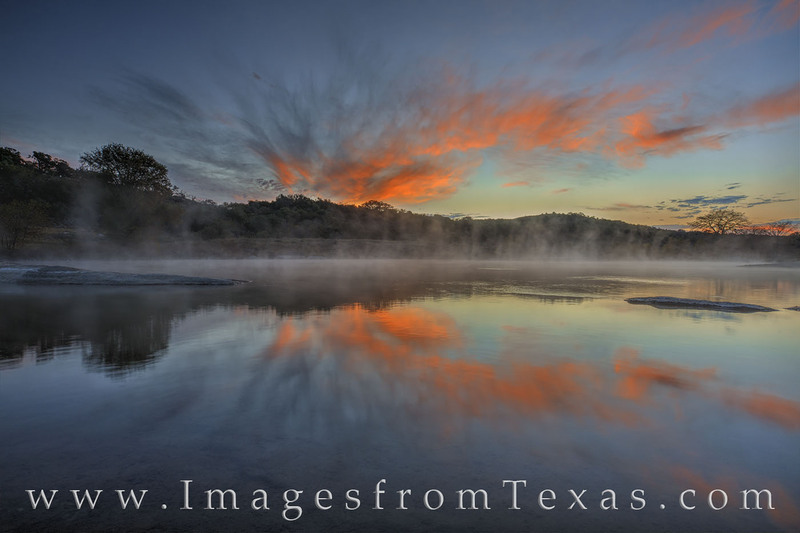 In the early morning at Pedernales Falls in the Texas Hill Country, the sky lights up in bright orange and blue as the sun's first warmth comes to the river basin. It was a cold morning, and steam rose from the still water on this November day. Photo © copyright by Rob Greebon.